The decent weather continues. Rugby’s on for tomorrow @ 9:30. For any newcomers, we play at 17th and Constitution. Looking forward to joining you guys for the first time tomorrow! 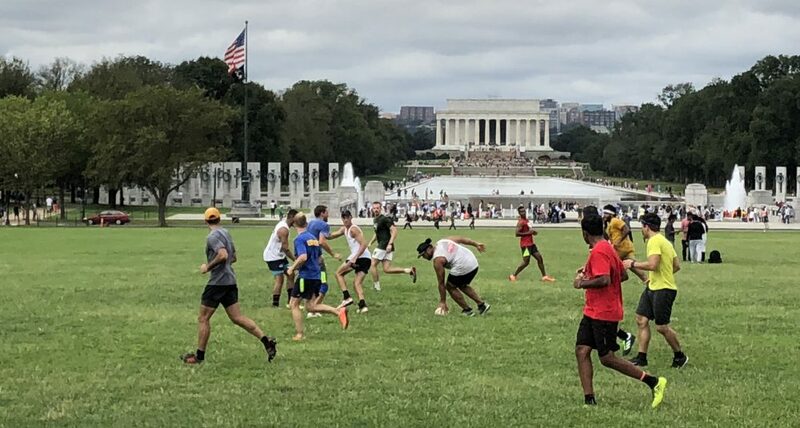 I’m a total newbie to touch rugby but have some experience in full-contact from high school (both sevens and fifteen-a-side, though I was equally lousy at both). Anyone have an extra pair of boots I could use tomorrow, 11.5/12, cheers! I’d love to come out with a friend saturday (12/12/15) if touch is still on. I’ll check your page, thanks!